The Theory of Constraints International Certification Organization (TOCICO) unites people who share a passion for win-win holistic thinking and share a vision that this will become the main way to manage organizations. 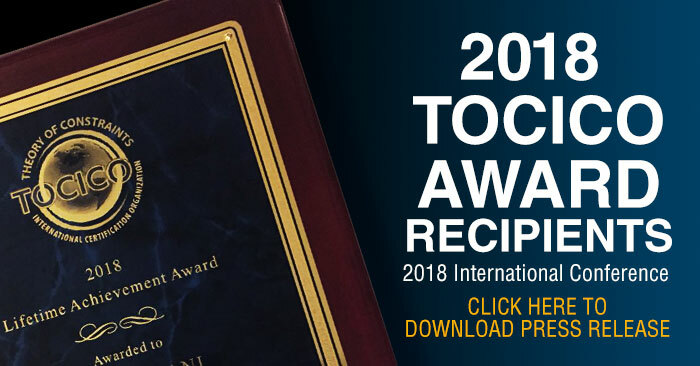 The TOCICO is a global not-for-profit certification organization for TOC companies, practitioners, consultants and academics to develop and administer certification standards, and facilitate the exchange of latest developments. View TOCICO Upcoming Community Events.